Elegant Purple Orchids in Atlanta GA - Eneni's Garden, Ltd. 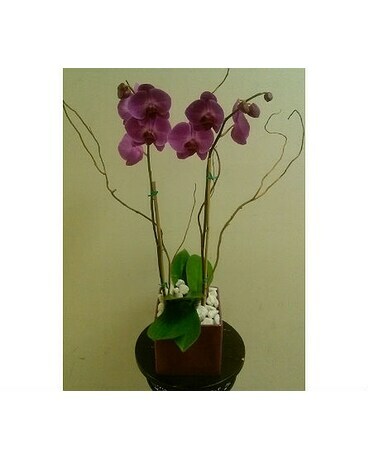 Elegant double purple orchid blooms with curly willow and white rocks is the perfect gift for any occasion. Container varies with price.